Wooden skyscrapers are fast becoming a trend in sustainable construction, with dozens planned across the country. 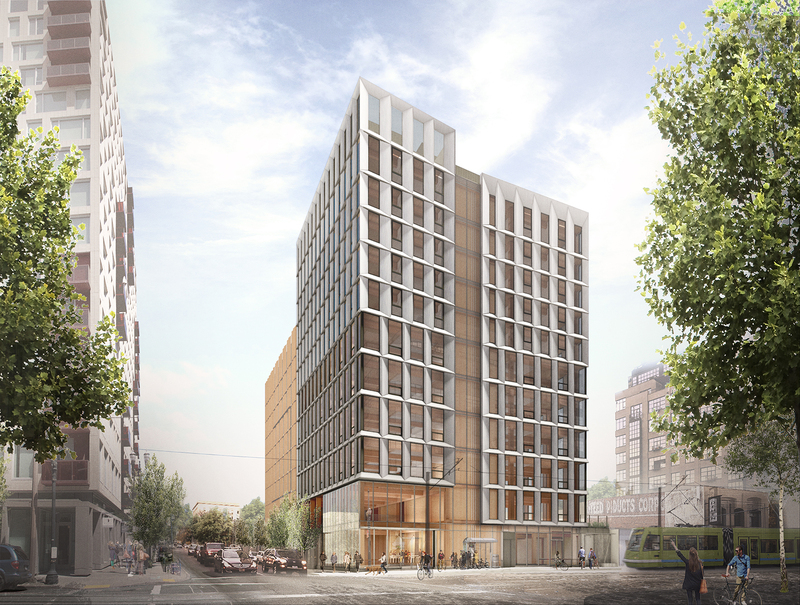 Two buildings in Portland, Oregon—Carbon12, a new all-timber high-rise building, and Framework, another in progress that will be 12 stories—offer an early look at what it will take for the trend to develop into something more lasting and impactful. But they’re not without controversy. When it was completed in 2017, Carbon12 became the first high rise in the U.S. to use CLT, a wood panel product made from gluing layers of lumber together with resulting strength that rivals concrete and steel. Despite the all-timber construction being touted as “green,” some environmental groups have pushed back, saying it can only really be sustainable if it’s sourced using responsible logging practices. Because of Oregon’s green reputation and it being home to the first U.S. certifiedmanufacturer for CLT, D.R. Johnson, located in Riddle, Oregon, it makes sense that the state would debut the new technology. Two dozen new mass timber structures are in progress, more than any other state, according to the developers of Framework, the second all-timber building in Portland.